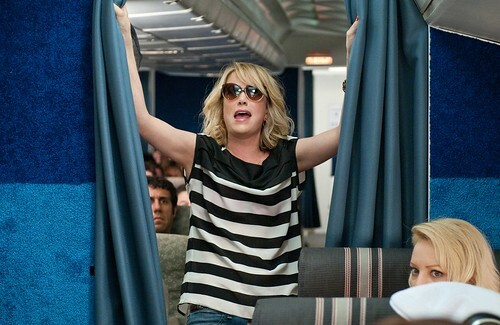 The movie Bridesmaids is being released on BluRay and DVD this Tuesday. THIS TUESDAY! If you didn't see it, I highly recommend that you do. Bridesmaids is the story of Annie (Kristen Wiig) and how her unravelling life deconstructs when her best friend Lillian (Maya Rudolph) gets engaged. Oh yeah, and it's a comedy. It seriously is one of the funniest movies I've seen in a while. Annie is kind of a mess so I relate to her. Just like everyone else, my life is a little crazy. Just when I think I have a handle on things, a schedule figured out, my house cleaned up, it seems like a bomb of chaos is dropped on me. Most of the time I get down on myself because I think I should roll with the punches better. BUT, that's not the way real life is. What I have to remember is that everyone has a crazy life. You know what makes this crazy life more fun? Spending time with my girlfriends. I don't do it enough. We are all busy and forget to make time just to laugh with each other. 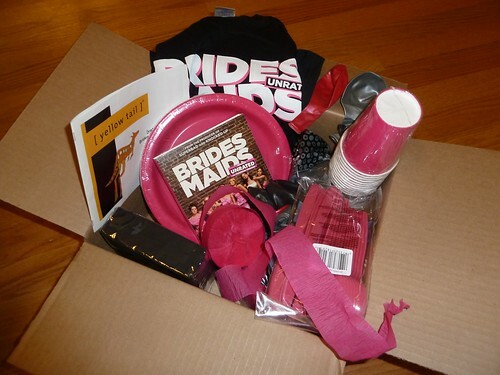 When NBC Universal offered to help me host a party for the Bridesmaids release I jumped at the chance. What a great excuse for a Girl's Night. We have a video projector and a huge playroom (we're kicking out the kids for the night.) NBC Universal sent a great box of goodies to help the party along. Using their recipe I made some "Bridesmaids Party Punch" with Yellow Tail Shiraz for tonight. We have put up decorations and made some fun food. Now it's time to wait for my girls! I'll post later this weekend with pictures of the food and fun! Wish I was there, have a blast! Can you also post the Shiraz Party Punch recipe; it looks interesting.